Speaker 2-way, PY-1310C, 4ohm, 25W, 5in Peiying PY-1310C car speaker, reproducing two frequency bands with a 4 Ohm impedance, a nominal power of 25 watts, a maximum peak power of 60 watts and a diameter of 130 inches (5 inches). 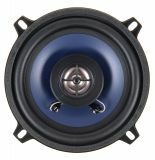 Speaker 2-way, DAX ZGC-130, 4ohm, 70W, 5in DAX ZGC-130 car speaker, reproducing two frequency bands with 4 Ohm impedance, rated power 70 watts, maximum peak power 140 W and diameter 130 mm (5 "). TAGA High Frequency Speaker, 25W, 6Ohm TAGA High Frequency Speaker with power 25 W and impedance 6 Ohm. 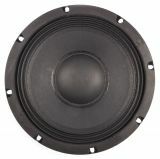 Low Frequency Speaker, FML-0838, 150W, 8Ohm, 8" Low frequency speaker with power 150 W, impedance 8 Ohm and diameter 8 inch. Low Frequency Speaker, FML-1038, 150W, 8Ohm, 10" Low frequency speaker with power 150 W, impedance 8 Ohm and diameter 10 inch. 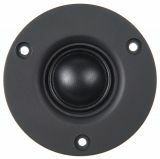 Built-in speaker ST-347, 4Ohm, 20W, 6.5" Ceiling speaker ST-347 with 20 watts power and 4 Ohm impedance. Car Speaker, TS-A4, 4Ohm, 200W Car Speaker Chair with crystal sound and maximum power 200W. High frequency speaker, TW-1025, 75W, 4-8Ω High Frequency Speaker. Power 75 W. Impedance from 4 Ω to 8 Ω. Car speaker, 6.5'', 600W, 4ohm, Chairman, TS-A1620 High quality auto speaker. High frequency loudspeaker TP-94, 4ohm, 150W, 1", Tiaoping High frequency loudspeaker TP-94 Tweeter. High quality of sound. Loudspeaker, TW-0025, 60W, 4-8Ohm loudspeaker with power 60 W. Impedance from 4 Ohm to 8 Ohm. 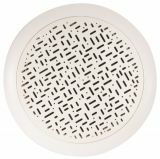 Loudspeaker, PL-0525, 40W, 8Ohm, 5" loudspeaker with power 40 W. Impedance 8 Ohm and diameter 5". Loudspeaker, PL-0425, 30W, 8Ohm, 4" Loudspeaker with power 30 W. Impedance 8 Ohm and diameter 4". Loudspeaker, FML-1575/2, 350W, 8Ω, 15" Loudspeaker with power 350 W. Impedance 8 Ω and diameter 15". Loudspeaker, FML-1050, 200W, 8Ohm, 10" Low-frequency speaker. Power 200 W. Impedance 8 Ω. Diameter 10 ". Loudspeaker, DH-0225, 30W, 8 Ohm, 25mm, 1" Loudspeaker, DH-0225, 30 W, 8 Ohm, 25 mm / 1". Loudspeaker, DH-0125, 20W, 8Ohm, 25mm Loudspeaker, DH-0125, 20 W, 8 Ohm, 25 mm. Loudspeaker, DH-0044, 80W, 8Ohm, 44mm, 1.75" Loudspeaker, DH-0044, 80 W, 8 Ω, 44 mm / 1.75".